Binil Mathew says undertaking plenty of practice exams helped him achieve high VCE results last year. He was named dux of Cranbourne East Secondary College with an ATAR score of 89.4. 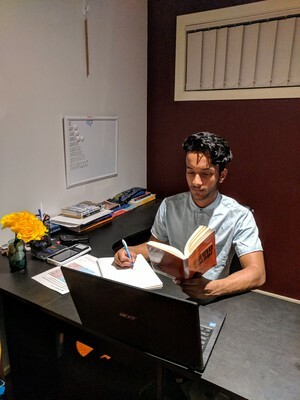 This month, Binil is looking forward to starting a Bachelor Biomedical Science and Commerce at Monash University in Clayton, with hopes of one day becoming a doctor. “Commerce was a back up to becoming an accountant,” he said. “If you start studying from the start of the year basically there’s no need to be stressed at the end. “I did a bunch of practice exams – that made the whole exam process super simple,” he added. Binil said his highest study score was 42 in Chemistry and a 41 for Further Maths. He also studied Maths Methods, Psychology, Biology, and English. Assistant Principal Penni Roe said seven students achieved an ATAR score in the 80s.